Learn how to make your own A4 sketchbook. 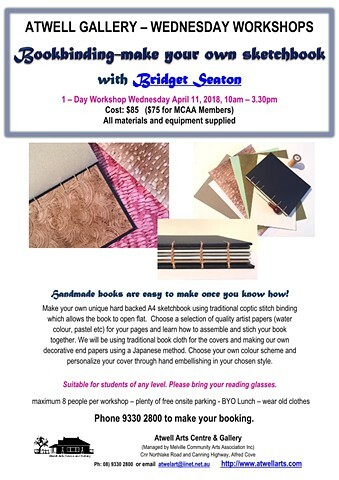 In this workshop we will be making our own book covers with card and specialist book cloth which we will embellish for an individual look. We will be using a Japanese method to create end papers to add a decorative touch to the inside covers. Choose from a selection of artists papers to add to your book and then we will be folding the pages and preparing them for sewing using the coptic stitch binding method.Coptic stitch is a decorative stitch that allows the book to open out flat for ease of use. Absolutely everything is provided in this workshop and you will take home your very own unique and beautiful sketchbook.